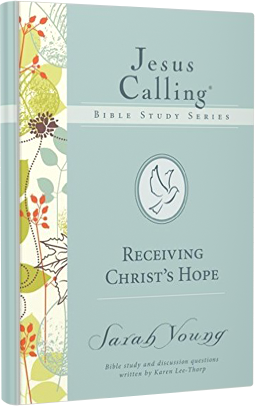 In Receiving Christ’s Hope, the third study in the Jesus Calling Bible Study Series, you will explore the promises God makes to you in His Word about finding your shelter and security in Him. Jesus said, “Peace I leave with you; my peace I give you” (John 14:27). As you allow God’s love to seep into the inner recesses of your being, put aside your own plans, and let the light of His presence fill your mind, you will experience His perfect peace that “transcends all understanding” (Philippians 4:7).